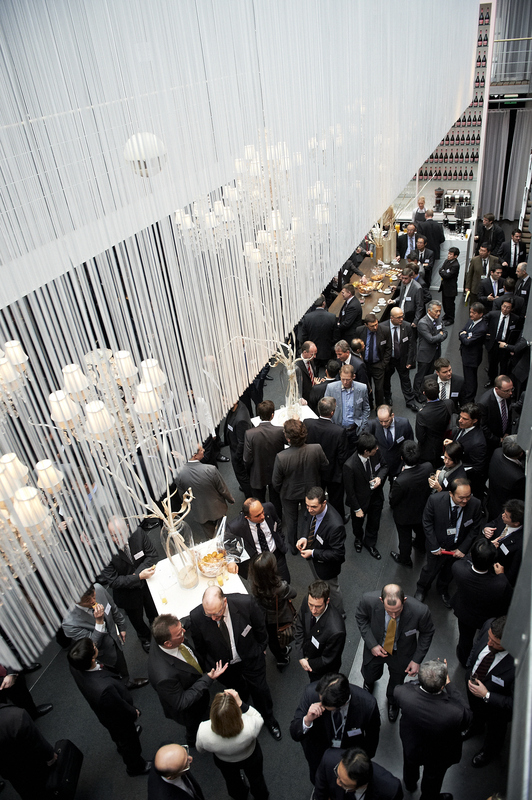 Toyota Motor Europe & Manufacturing opted for the Event Lounge as this year’s location to offer an impressive 430 guests a suitable reception and welcome area. The guests included the most important European suppliers of Toyota parts. They arrived at the event from over 20 different countries. 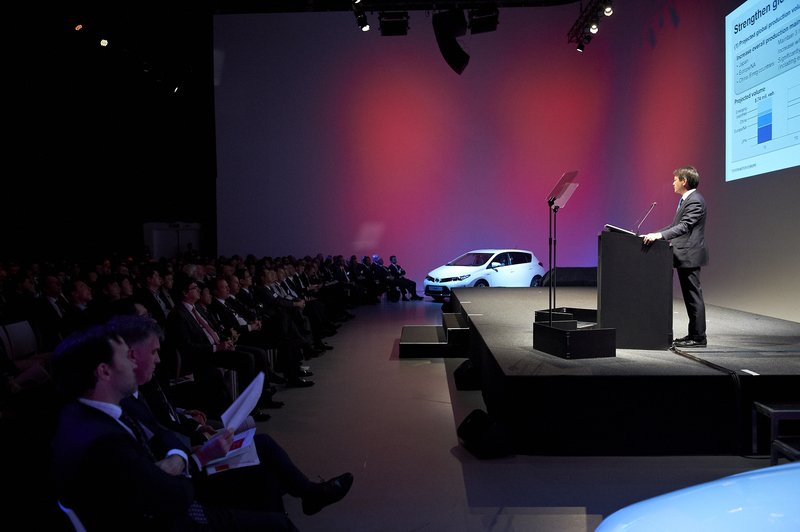 Toyota’s presentation started off with a brief explanation from Didier Leroy, Toyota Motor Europe’s President and CEO. 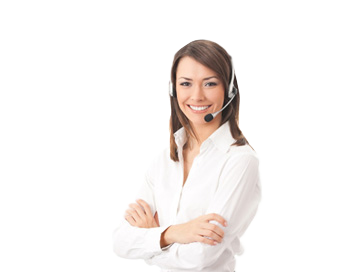 Toyota subsequently presented the European strategy and sketched out the forthcoming opportunities and naturally also the challenges where production is concerned. 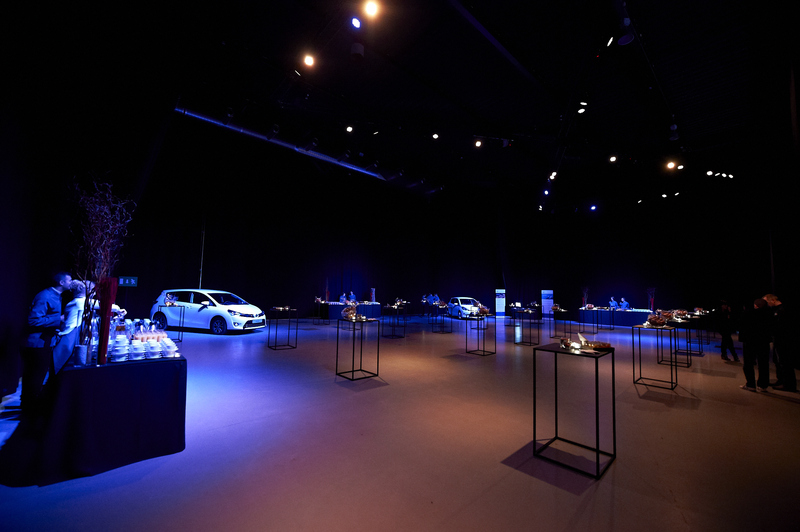 The presentation was followed by a ceremony with the presentation of various awards for the most qualitative and flexible suppliers of original parts, which are required for the construction of Toyota’s European models. 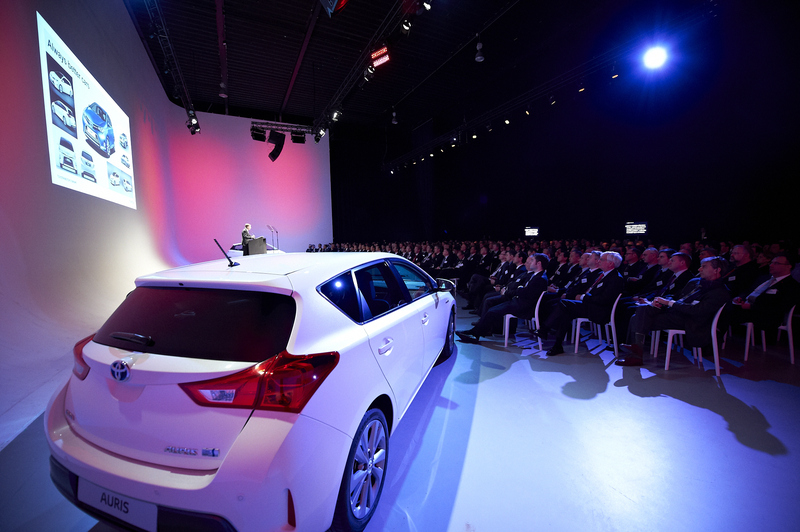 Toyota also used the Annual Business Meeting to present a number of new models, including the brand new Toyota Yaris Hybrid, the new Verso and the new Auris and Auris Touring Sport models. Given the multipurpose nature of the various different rooms, opting for The Event Lounge was a logical choice, but the building’s easy accessibility certainly also played an important role. 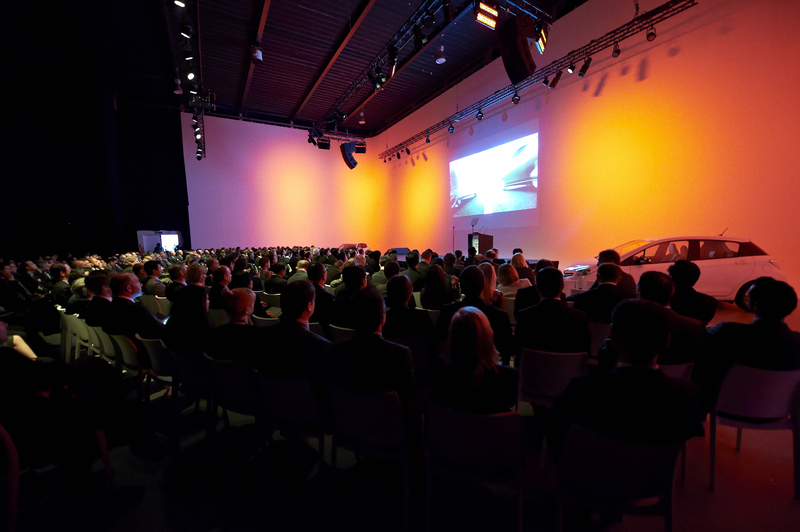 After all, The Event Lounge is a mere 5 minutes from Zaventem Airport and is perfectly suited to welcoming managerial figures from all over Europe.